The winning is done in arenas, but the journey to victory starts elsewhere: in the stable, during daily care for horses, mucking, feeding, grooming and practising. This would not be possible without a team working like a well-oiled machine where everyone has their irreplaceable role. Our club’s success stems from a well balanced team of industrious and reliable people. Without them and their daily hard work, I could not focus a 100% on training horses and people and competing. It is a great feeling to be part of a team composed of such professionals. Alvaro Rodriguez Siscar (ES) joined our team as a second rider. He has been with horses from the childhood, started riding family owned horse as he was 9y old. Up to now he was gathering experiences working for spanish olympic riders Beatriz Ferrer-Salat or Jordi Domingo Coll and also spanish GP rider Jose Carlos Castillo. 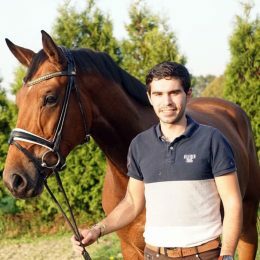 In last 2 years Alvaro worked in Germany, firstly for Matthias Bouten (who is currently working as Meggle´s Stable Head Rider) and after that some period for Stable Wintermuhle. As a cool Spaniard he loves to play football, logically joining now our regular weekly based matches in Benešov. Kristina is our youngest slovak member of the team. 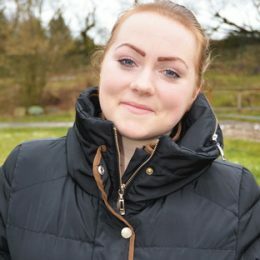 She has given everything in her life to be near horses and has been working with them for around 7 years. Together with Honza, she takes care of the stable and also helps out with the horses. She can also do minor veterinary interventions. Tomas is the founder and co-owner of DS Pelikán. As a child, he did modern pentathlon and already back then horses were his greatest hobby. He would show his parents, who weren’t horse-people, sketches of a riding club, which he then actually built in 2011. His role is absolutely irreplaceable, from managing the entire sports season through buying and selling horses to truck driving. 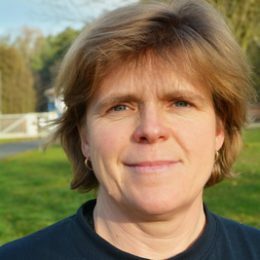 Zdenka is the club manager, accountant and nanny for our children. Cherchez la femme. She is the only member of the team who would never think as a child that she would end up as a horse person. Despite having worked as a manager in animal husbandry, she did not come anywhere near a horse. In 2007, she got here as part-time help caring for our daughter. Since then, she has raised our second daughter as well and become the manager and accountant in charge. Without her knowledge, not a single leaf of hay moves.